Motivation is the necessary part of every human being. Without it, no one establish the positivity toward any act. In fact, serving own family is also counted as a motivation for a sub-standard person. Therefore, each employee in the industries requires some sort of inspiration to work for the benefit of organisation. Some of the corporations take care about this element while others do not. Where a manager ignores the encouragement factor, the process of hiring and firing will be noticed excessively. However, on other hand, several firms seek the methods to adopt for workers motivation. Here are some of them for your help. Several labours show their efficiency to get the verbal award from the managing department. If the executive personality ignore the struggle and avoid praising him, the moral of such worker degrade. The result will be severe. An organisation always stands with the help of essential pillars, i.e., employees who are ready to work hard for the ambition of company owners. In return, they just need some cash to fulfil their needs and appreciation of their work. It is highly recommended by experts and entrepreneur to celebrate the achieved targets with every employee. Not consider the status and never treat them differently. Although, you have to keep some distance between executives, managers, and labour categories. Every level of employee has distinct vision of celebration. Give them space and allow them to enjoy the success according to their own way. In this way, every participant assumes and value the firm because company give importance to them. Targets are always mandatory for human. We set several goals in our daily routine. Similarly, some of our targets are for long run. Likewise, each corporation has numerous ambitions. The higher authorities try to meet them. Professional managers from HR department suggest informing your workers about the same targets. So, that they knew how far the organisation is from goals. 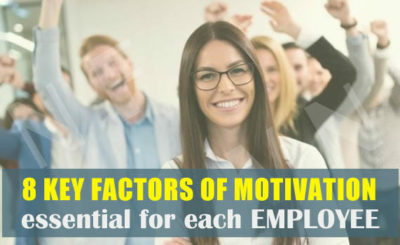 Several firms offer many benefits to workers for motivational purpose. Numerous companies provide one extra facility while others give more than one. Annual bonus, leave encashment, no absent benefit, pension, etc. are the examples of offers. Moreover, various organisations also give some unusual gifts to employees on the progress or target achievement. Man and woman, we all job & earn for accomplishing the needs. 80% of labours have intention to fulfil the expenses of their families. Education of their children, home supplies, house renovation, celebration, medical expenses, travelling expenditures, etc. is some of the examples. However, there are many other things to achieve through this earning. If company supports some of areas like education & medical, it will also cause for the inspiration of workers. Although, this point is not prescribed by skilled entrepreneurs yet I think, it may boost the energy. You have probably noticed that people often get tired after a regular working routine. Some of them plan themselves for outing. However, many low status people unable to afford such picnic. If corporation provide such opportunity, arrange a picnic and offer every team member to bring his/her whole family in that outing, it will enhance the motivation. Their likeliness towards firm increases. In fact, the family members of those co-workers love this organisation as well. It has been observed several times that talented people leave the job just because of the irritating and negative culture of the executives. The manager shouting over little ignorance or unintentional mistakes lost such skilful persons. Therefore, remain calm and stay positive is the powerful leadership. Otherwise, folks count it as dictatorship. Furthermore, the employees left such organisation spread the bad reviews in the market and gradually the firm’s reputation become worse. Never make this habit to check all performing activities of workers. It is not a healthy practice. When a manager used to keep his eye on every moment, he will start taunting and identifying it. If the atmosphere of being watched has been established the creativity and relax environment will be demolished. Thus, employees only complete the assigned task without any dedication. It is good to visualise all the events happening over floor but it should be just to overcome the severe and unacceptable situations like fighting. Even in such scenarios, labour treats themselves as a secure. There are so many things happened on daily basis. Corporations are meant to attain hassle free surroundings to team members that result in better output and growth of company. Some executives have a bad nature. They demand their employees to show performance with the intention of “make it happen” for complex job as well. This approach might be appealing for rare cases instead of usual. While on another side, the firms remove the barrier can make their workers happy and comfortable job atmosphere. Everyone has a certain ambition. Similarly, each corporation also possesses any vision. It is essential and plays a significant role to inform the company vision to the co-workers. In that way, they can build dreams for themselves also that could be achieved upon the accomplishment of organisation’s objective. A guy becomes a Gentle man after facing too many hardships. He experience sweet and bitter both. He changes his way of thinking and treating also. After a long time, he can able to lead a great team with best skills. Upgrade yourself with education and skills and improve your humbleness as possible as you can. John is an energetic and brilliant writer. He usually engage himself in exploring mind science and human nature. He has completed his graduation in Arts. He want to teach different behaviours and reactions to lecturers of Oxford University.